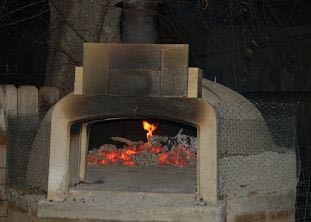 Ever wondered how a modular wood oven kit is built into a ready to use pizza oven? 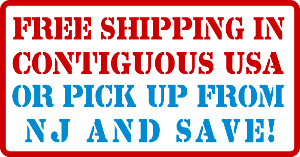 Mateusz Ropel of Kamionka Stone Works in Toronto, Canada has your answer! The first thing you will need is the actual modular oven, such as our Volta line. 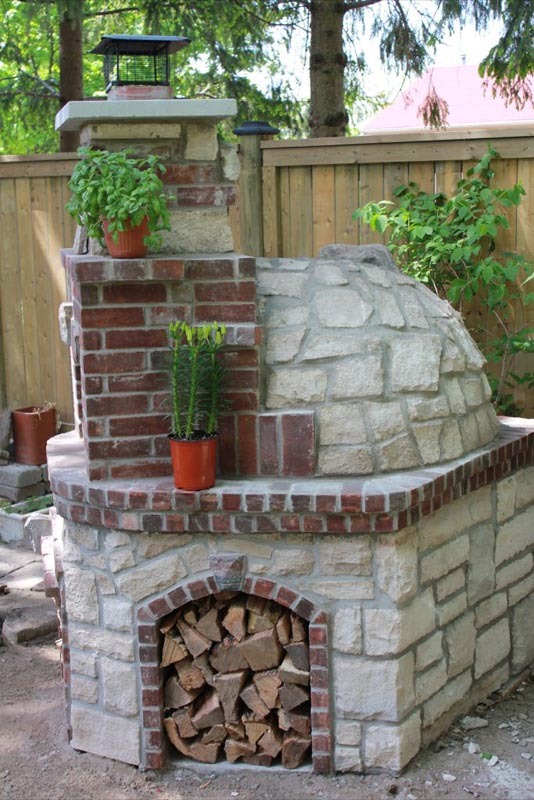 On the size of the oven will depend the size of the foundation and base that you will need. For instance an oven with 40" internal diameeter will typically have a 45" external diameter plus a 10" landing in front of the door. You should leave 3-4" of room all around it for insulation and another 2-5" for veneer whether it's stucco, stones, bricks, or cement. 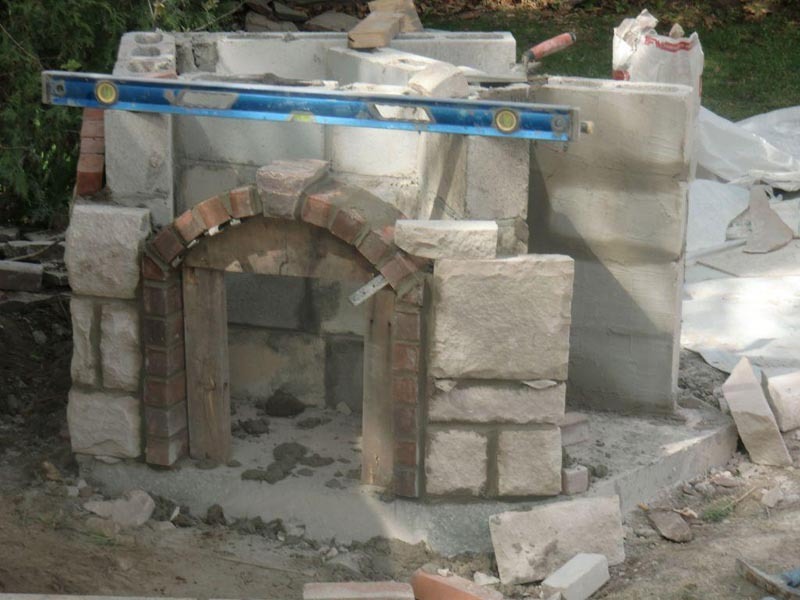 This project uses our Volta 100 oven, which has very similar dimensions. The first step is to pour a foundation. Mateusz has poured an 8" foundation, reinforced both vertically and horizontally with rebars. Vertical support rebars are driven into the ground and horizontal ones are laid across and the cement is poured on top. This is not Portland cement, it's a much stronger industrial mix, used for pouring floors in buildings. 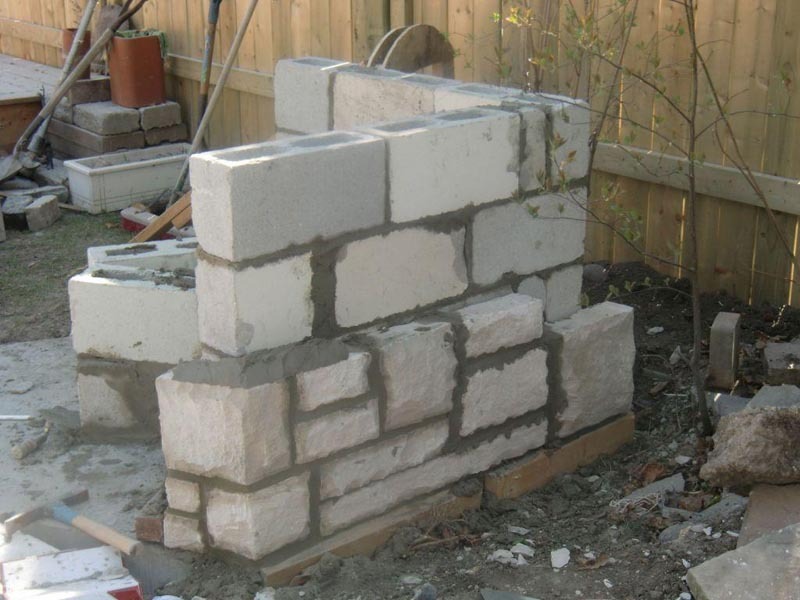 The next step is shaping your base out of cinder blocks. This is a fairly straightforward process but make sure to have a good size level on hand to make sure each layer is straight. Once the cinder blocks are in place you can go ahead and cover them with the finish of your choice - in our case a combination of stone and bricks, please see below. The next step is to pour the oven bearing slab. This is done in a similar way to pouring the foundation only this slab doesn't have to be as thick - only 3-4". It's also reenforced with rebars. Holding the slab from underneath is regular plywood. You may need to set up a few wooden supports to hold the sheet of plywood until the cement hardens. Now, to the oven itself. Once the slab is in place put 2" mineral board in top (such as Thermafiber or Insblok) and construct he oven on the board. A lot of builders also use sand under the floor of the oven for added flexibility and insulation. 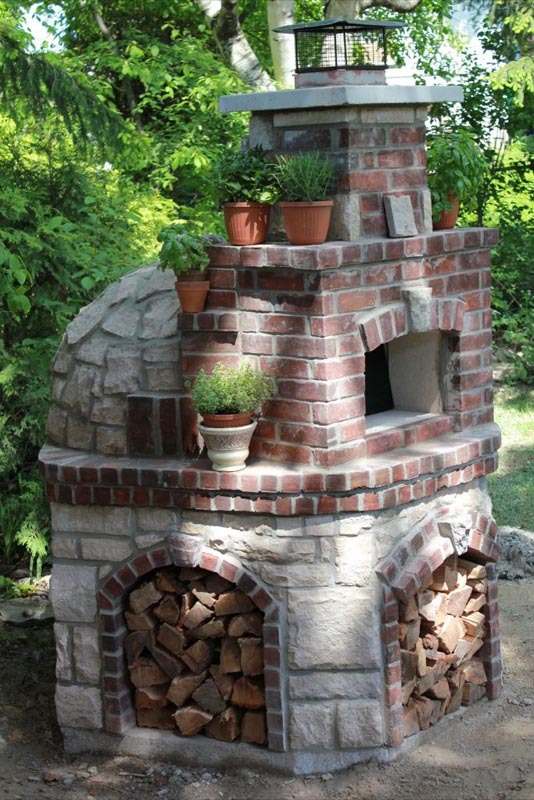 The oven dome itself is easily assembled without mortar as the pieces are shaped to snugly fit together. At this point you can slowly fire the oven to test it before applying insulation. If you will be using ceramic blankets or mineral wool for insulation you will need to hold them in place with chicken wire. 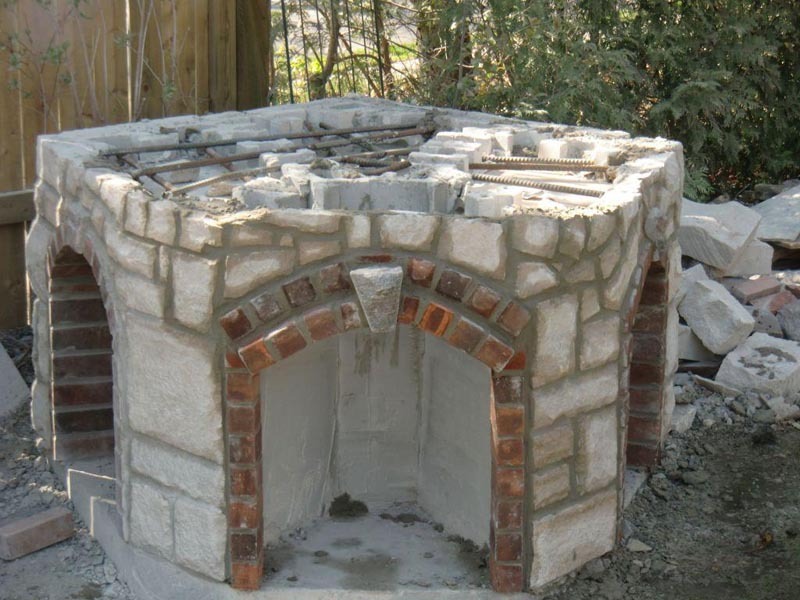 Another option is to use an insulating refractory cement both for the floor and for the dome of the oven. You would need a 2-3" layer depending on the quality of the mix. The rest is design work!